MODELE HARMAN/BECKER AUDIO 5 BE 6086. PAS SERIEUX S ABSTENIR. Radio, RDS, Bluetooth, DVD, USB, SD, CAM-IN, AUX, Contrôle du volant, 8 couleurs de la lumière du panneau et via la combinaison RGB, Live Wallpaper, Fond d'écran DIY. fonction la plus rongeur ANDROID 8.0 / 64 BITS. FAKRA <--> DIN. CITROEN PEUGEOT. Le 22-oct. -15 à 14:48:15 Paris, le vendeur a ajouté les informations suivantes Le 09-juin-15 à 23:29:44 Paris, le vendeur a ajouté les informations suivantes Le 02-juin-15 à 23:39:30 Paris, le vendeur a ajouté les informations suivantes . C209 W209 1998-2004.5. W463 1998-2006.1. W203 S203 2000-2005. Radio, RDS, Bluetooth, DVD, USB, SD, CAM-IN, AUX, Contrôle du volant, Live Wallpaper, Fond d'écran DIY. ANDROID 8.0 / 64 BITS. 4GB RAM / 32GB ROM. 7 "Tout-en-un Design pour BENZ C / CLK-Classe W203 W209. fonction la plus rongeur Radio, RDS, Bluetooth, DVD, USB, SD, CAM-IN, AUX, Contrôle du volant, 8 couleurs de la lumière du panneau et via la combinaison RGB, Live Wallpaper, Fond d'écran DIY. 4 x Chiavi di estrazione autoradio SEAT RNS MFD, SEAT MCD. Ford MFD, Ford MCD. Compatibile con :. Skoda RNS2, MFD2 (Octavia), Columbus, Amunsen. Seat RNS2, MFD2 (Altea). 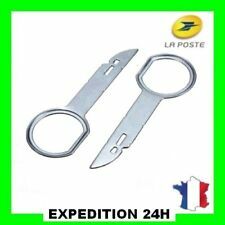 Compatible par-brise athermique (avec capteur de pluie). Blaupunkt Travelpilot EX. AUDI RNS-E / RNSE, BNS. DAB+Autoradio for Mercedes Benz C/CLC/CLK Class W203 Android 8.1 GPS WIFI+4G 8"
CanBus Decoder Box incl. (it cost GBP30 in the market). Adopt the newest Android 8.1 Oreo OS, 1024 600 HD Capacitive Touch Screen, Quad Core 1118MHz CPU, 2GB RAM and 16GB Internal Storage, Support extended 1 Card/2 USB Stick up to 3 64GB. CanBus Decoder Box incl. (it cost GBP30 in the market). Adopt the newest Android 8.1 Oreo OS, 1024 600 HD Capacitive Touch Screen, Octa Core CPU, 2GB RAM and 32GB Internal Storage, Support extended 1 Card/3 USB Stick up to 4 32GB. Adopt the newestAndroid 9.0 Pie OS, 1024 600 HDCapacitive Touch Screen,Quad Core 1512MHz CPU,2GB RAM and16GB Internal Storage, Support extended 2 Card/3 USB Stick up to5 64GB. it has special Port for Digital TV Box, you can connect ourDigital TV Box to achieve touch operation, and this item can power on the connected DTV Box. Built-in DAB System: Yes, just connect a DAB Box to use this function. 9"Android 8.0 DAB Autoradio für VW Passat Polo Golf Tiguan Jetta. Android 8.0 Autoradio DAB Canbus AUDI A3 S3 RS3 RNSE-PU 4G. DAB Antenna. Adopt the newest Android 8.1 Oreo OS, 1024 600 HD Capacitive Touch Screen, Quad Core 1512MHz CPU, 2GB RAM and 16GB Internal Storage, Support extended 2 Card/2 USB Stick up to 4 64GB. it has special Port for Digital TV Box, you can connect our Digital TV Box to achieve touch operation, and this item can power on the connected DTV Box. Cars with built-in CanBus Decoder (it cost GBP30 in the market). Adopt the newest Android 8.0 Oreo OS, 1024 600 HD Capacitive Touch Screen, Octa Core 1512MHz CPU, 4GB RAM and 32GB Internal Storage, Support extended 2 Card/3 USB Stick up to 5 32GB. Built-in DAB System: Yes, just connect a DAB Box to use this function. - Connection Port: USB, just support our DAB Box ES358. - DAB Box In: One. Support A2DP Bluetooth, can play stereo music through Bluetooth from your Phone. DAB Antenna. Adopt the newest Android 8.1 Oreo OS, 1024 600 HD Capacitive Touch Screen, Quad Core 1512MHz CPU, 2GB RAM and 16GB Internal Storage, Support extended 2 Card/4 USB Stick up to 6 64GB. it has special Port for Digital TV Box, you can connect our Digital TV Box to achieve touch operation, and this item can power on the connected DTV Box. Nom de la pièce auto radio cd. code de sécurité oui -nous n'avons pas de code radio. M.Bednarczyk, K.Kruczek. SWIFT: INGBPLPW. PL25 1050 1070 1000 0090 7444 5207. ING Bank Slaski. Assistance technique et consultative. Adopt the newestAndroid 7.1.2 Nougat OS,1024 600 HD Capacitive Touch Screen, Quad Core CPU, 2GB RAM and 16GB Internal Storage. it has special Port for Digital TV Box, you can connect our HD-DVB-T Box to achieve touch operation, and this item can power on the connected DTV Box. cles extraction de démontage façade autoradio stereo MERCEDES BENZ et +! 2 Clés d'extraction autoradio pour. 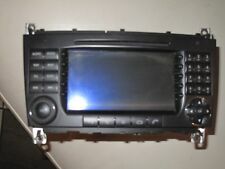 Pour autoradio Volkswagen : Fox 2006 et /Golf 2003 et /Passat 2004 et /Polo 2008 et /Touareg 2003 et /Touran 2002 et /Van. Audi : A2 2000 et /A3 1998 - 2013 /A4 1998 - 2004 /A6 1997 - 2004 /A8 1997 - 2003 /TT 1999 et .